Sorry for more bad news every body but it looks like SANDY is going to be a direct hit on Cape May county. I will be hanging around the store as long as I can but they have already put the evacuation plan to work. Becky Finn and I will be heading for the hills at some point. Good luck to every one and be safe….. Any pictures you get of high water boats beach ECT. Id love to see them. 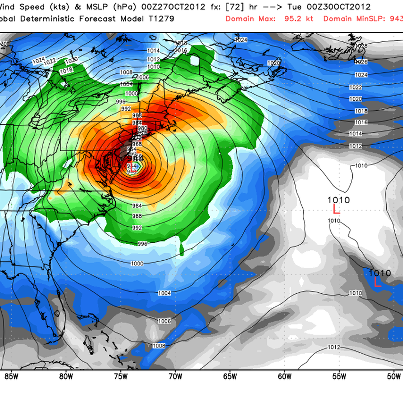 00Z Euro has a 943mb landfall at Cape May 72 hours from now. It looks like the models are starting to narrow in on a solution between Cape May and Sandy Hook. Model image reproduced with permission from WeatherBell Analytics, LLC. 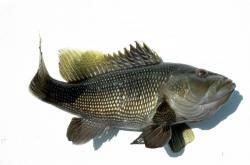 I hate to be the barer of bad news but its not looking good for sea bass this year. On the other hand things are looking good for tog and stripers this fall. If you are going to want bulk Eel’s for the fall now is the time to get your orders in. 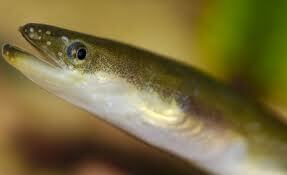 We are getting shipments of eels in every week and if you are going to want 50+ now is the time to let me know. 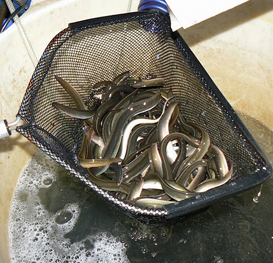 The water has cooled off and the eels are living well in the pens. Same thing with spot if you are going to want a bunch of them now is the time to get your order in to inshore delivery. The bass will be hear in full force soon enough get ready now. Check out this Black drum fish brought in by Mike B. from Philadelphia PA. Mike landed this nice puppy wile kayak fishing four Tautog / black fish in Townsends Inlet. It was hungry for some green crab and according to Mike hit so much harder than the Tog it almost ripped the rod out of his hand. Wile you are only allowed one tog the fishing has been great. Kayak fishing can be a lot of fun and often gives you advantages over land and boat fishermen just be safe and have fun out there.